When your pet becomes ill, it can be very worrying. Be proactive with your pet’s well being and if you are concerned or your pet just “doesn’t seem right” have a Vet check your pet. At Vet HQ, a Vet is available for consultation by appointment during our opening hours and if needed a Vet is also available after hours. 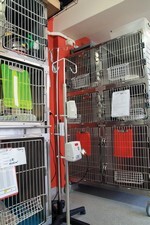 At Vet HQ we use the most up to date information to treat the medical conditions of your pet. Our treatments are individualised for each patient and client but are based on the most current therapies as recommended by Australian and International Veterinary Specialists. At Vet HQ we use a logical clinical problem solving technique, so that even the most complicated of problems can be assessed without confusion by our University of Sydney qualified Veterinarians. During the assessment of your pet, we give them a thorough physical examination and attain a detailed history from you. In some cases, further tests such as laboratory testing, radiology, ultrasound, surgery or as with your own medical general practitioner; referral to a Registered Specialist may be recommended. Please click on the relevant links in the Medicine sub-menu in the left navigation panel. Print and answer the questions in the questionnaire that may assist with a more accurate and efficient diagnosis of your pet’s illness. Questions regarding seizuring or collapsed animals. There are many causes ranging from poisonings, epilepsy, brain disease, heart disease, and chemical imbalances in the body. In order to distinguish the possible cause, history is very important. Blood tests and a full physical examination may also be needed. Is this the first episode? Has there been any access to toxins, poisons or plants? Were there any preceding signs eg muscle twitches, shaky leg, shortness of breath, anxiety? Has there been slowly worsening weakness over the last few days, weeks or months? Always check the colour of the tongue and mucous membranes at the time. Are they pink, white, blue? Has there been any coughing? What is the recovery time after the incident? Was your pet’s behaviour back to normal within seconds or minutes or did the abnormal behaviour continue for a longer period. 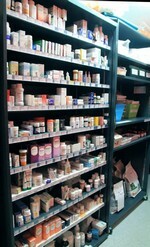 Is your pet on any medication (veterinary, herbal or supermarket)? When and how often is this given? Questions regarding itchy skin in dogs and cats. Itchy skin may be caused by allergies; infections with bacteria, yeasts, mites; internal disease states, hormonal imbalances, irritations to environmental substances and many less common but complicated immune conditions. A thorough history including seasonality, response to previously used drugs and exposure to different environments are important in assessing the various causes. In some cases blood tests, food and drug trials, or biopsies may be needed as the next step in diagnosis. Is this the first time the skin has become itchy? If not, at what age did the itchiness begin? What is the area or areas of the body affected? Is flea control being used? If so, what brand and when was it last applied? Are there other animals in the house? Has flea controlled been used on them? What is the normal diet? Have there been any treats or special foods given recently? Where does your pet walk? What is the nature of your back yard or courtyard? Is the bedding new or has the bedding recently been washed? Were different detergents used than previously? Is there new carpet in the home? Has the new grass been laid in the backyard? Have any fertilisers been used recently? Has it been mowed lately? Has your pet been bathed recently? If so, what shampoo was used? Did the itchiness get better or worse after bathing? Have any drugs been used recently? If so what and when? Has cortisone been used in the past? Did this improve the itchiness? If so for how long was it used? Have antibiotics been used in the past? If so, when and for how long? Is the itchiness worse at a particular time of year/ season? Has your pet been to the country recently? Has there been contact with foxes? Are there any other signs that you may be concerned about? Eg changes in water intake, diarrhoea, generally unwell. Questions regarding coughing in dogs and cats. Coughing may occur because of airway disease, lung disease or cardiac disease. Infective; allergic; irritant; cancer; parasitic; structural causes are all possible and a physical examination is required. 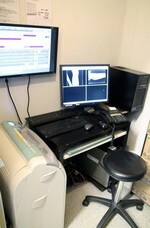 Sometimes a chest x-ray and other pathology tests may be needed. How long has the coughing been occurring? What is the timing of the coughing? At night? Following exercise? After eating? With excitement? Following barking? Pulling on the lead? All the time? No pattern? Is the coughing productive? Is there phlegm? Has your pet been vaccinated? If so, when? Is your pet currently receiving heartworm prevention? If so, what brand? When was the last time it was given? Have you ever missed or been late with any treatments in the past? Are the levels of exercise ok? Is your pet tiring more than previously? Has your pet been in a tick area? If so, have any tick preventatives been used? And when was it applied? Are there other symptoms you are concerned about? Is anyone a smoker at home? 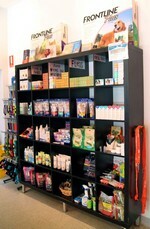 Have any chemicals, sprays, deodorants been used in the pet’s environment? Are there other abnormalities in your pet’s behaviour? There are many conditions that need to be considered. There may be problems with the swallowing of food, the digestion of food; the absorption of food from the bowel or even conditions elsewhere in the body that are effecting how efficiently (or inefficiently) the food is being used. A good history and physical examination are important, but blood tests, faecal tests, urine tests and other tests may be required. What is your pet’s normal diet? What quantities of food are being fed and how often? Has your pet been wormed recently (last 3 months?) What product was used? How much has your pet been drinking? Has there been any vomiting or diarrhoea? How much weight has your pet lost? How quickly has this occurred? Has there been any lameness or muscle wastage noted? There are many conditions that may cause these symptoms. They include diseases of the intestinal tract eg inflammatory bowel disease, food allergies, parasites, diabetes, heart disease, cancer, thyroid problems, liver disease and many more. Many conditions may cause these symptoms. A good history and physical examination will give a good indication of possible causes, but blood and urine tests may also be needed as the next step in the diagnostic process. How long has your pet been off their food? Are they showing any interest in food? Has there been any weight loss? Is your pet having trouble picking up the food with their mouth? Is your pet having trouble swallowing? Have there been any other signs of illness eg vomiting, diarrhoea, coughing, weakness? Please see questions associated with each of these problems. How much have they been drinking? There are many conditions that may show these clinical signs, including dental disease, mouth disease, many systemic illness eg affecting the kidneys, heart or liver. Diarrhoea may be caused by intestinal disease (small intestine or large intestine) or because of diseases affecting organs involved in digestion eg liver, pancreas, gall bladder. History and physical examination are required to aid in distinguishing between the causes, however faecal tests and blood tests may also be required as the next step in the diagnostic process. For how long has the diarrhoea been occurring? Is there vomiting as well? What is the normal diet? Have there been any recent changes in diet? Has there been any access to spoilt food, chemicals, plants, toxins, dairy products? What colour is the diarrhoea? Black, dark brown, green, red, fresh blood, clear? Is your pet loosing weight? Is your pet happy and bright? Is your pet receiving any other medications? Are there other clinical signs you are concerned about? The bringing up of food may be associated with vomiting or regurgitation. The history and physical examination will help to distinguish the cause and also assist in determining what other tests are required. How long has the vomiting been occurring? How often does the vomiting occur? Does the vomit contain food, froth, bile, blood, unknown material?Is the vomiting occurring soon after eating or drinking or unrelated to either. Is their effort involved in the vomiting (contraction of stomach muscles, abnormal stance) or is it more like a burp? Has there been any recent change in diet? Has there been any access to spoilt food, toxins, plants or chemicals? 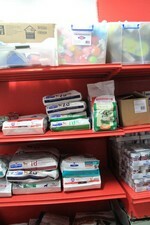 Eg snail bait, lead paint, disinfectants? Does your pet scavenge or chew on abnormal items? Has your pet eaten bones recently – raw or cooked? Is there any diarrhoea. ?Is your pet loosing weight?Is your pet happy and bright? Has your pet been in a tick area? Quite simply the best vet practice ever! A dedicated team of professionals who always go the extra mile and obviously love what they do. Geoff saved our dog's life five years ago through his extraordinary skills as a surgeon. Whether it's a pop in visit to pick up flea treatment, an annual check up and vaccination or a full blown emergency, this team do it with care, amazing attention and oodles of love for their furry or feathered clients. Did I mention fun?! The happiest, cheeriest team you could hope to meet who also make the best cup cakes for their annual fund raiser for the Sydney Dog & Cat Home. Needless to say, choosing Vet HQ was the best decision we ever made for veterinary care and we're customers for life. Thank you Geoff and all the team. A great caring team of vets and their assistants lead by the owner Geoff Golovsky. My adopted cat Miso had her teeth cleaned and fortunately had to have only one removed. Unlike another vet who wanted to remove them all, Geoff prescribed the right cat food and water additive and a year later her teeth are perfectly clean. The preventative health care plan she was put on was a better choice and she thanks me for it every day! Thanks Geoff. Your caring approach is greatly appreciated. I have been to a lot of vets in the past and this is by far my most favourite. I have never felt so comfortable straight off the bat. 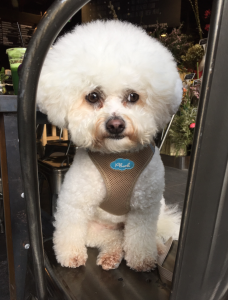 All the staff are so friendly and I have absolutely no worries that my fur baby Bentley is going to be looked after like royalty. Thank you guys so much for looking after my beautiful boy. Absolutely the best vet for your pets. I'm so glad a branch was opened here in Darlinghurst as we were previously taking our little bud to double Bay. The staff here are friendly. 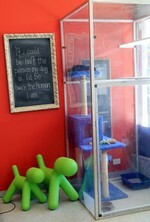 If your pet needs further analysis they take them to the fully equipped double Bay clinic. Andy was taken care of really well last time he hurt his back. Within a day or two he has fully recovered and back to his cheeky, playful self. Highly recommended and if you have your pet insurance information with them all you need to do is sign the form and the rest is taken care of them. I recommend it and above all andy loves all the vets here. Exceptional care, caring staff, great communication and super convenient location with parking! Have nothing but positive words to say about the team at VetHQ. My little cat Dusty has not had a positive experience at a vet until now - the fact that she ate, drank and even let (or maybe tolerated) some pats is a huge step. She spent 2 nights at VetHQ and I was provided with multiple daily updates on her progress, any issues etc and when I brought her home she was content. The team are amazing and no longer dreading vet visits. Dusty is on the road to recovery and I’ve appreciated all the support from the team. A big thank you! Because of Geoff Golovsky and Vet HQ our beloved dog Tiger will make a full recovery. The highest standard of care and compassion delivered without delay late on a Saturday made all the difference. Took my dog there for a second opinion on an ongoing problem. Very impressed. 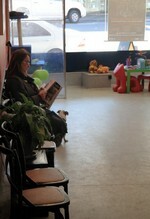 1st vet we saw immediately got down on the floor with my dog and really interacted with her. This is what I was looking for. 2nd visit, different vet, same thing. Same thing with reception. These people really do "Love that pet". Got quote for dental work. Took me a few months to save the money. By this time prices had increased, but they honoured their original quote. They have stayed in touch by email. Couldn't fault them. Highly recommend. Vet HQ is really great. It's easy to book, you receive an SMS reminder, the staff are all very knowledgeable, they keep tabs on vaccinations/medications for me... Dr Tammy is so great with my dog, she really cares about her and she's so helpful when answering my questions. Aside from being so good natured, she also gives me the right information - she's not there to upsell me or rip me off and I appreciate that. 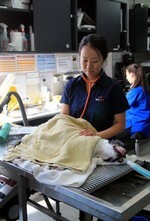 When we lived in the Eastern suburbs, we went past a number of vets to see Geoff and his team at Vet HQ. We now live on the lower North shore and go past many more. I cannot recommend him more highly, he goes above and beyond time and time again. We cannot thank him enough for his recent management of our beautiful dog Kela. We have been coming here for 9 years and will continue to come here because of the professional, knowledgeable and compassionate care that our animals and we receive. Thank you to a wonderful team. Since we got our Groodle Jackson (we also have a Spoodle Reggie) we have been to a few vets in the eastern suburbs over the past two years . However since finding Vet HQ I can say we have never had a bad experience no matter what vet we have seen! You cant put a price on your animals heath and the level of care, recommendations and general interest in your pet is shown time and time again from Geoff and the Vet HQ team. 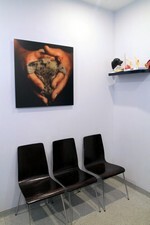 I highly recommend all the vets that work here and we will be a life-long loyal client of this practice. 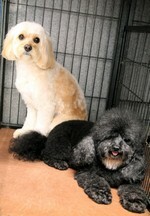 - Also the groomers do an amazing job!! Geoff and his team are so wonderful! I quite literally wouldn't trust ANYONE else with my dog Charlie. Charlie has had a lifetime of medical issues and surgeries and Geoff has always done the absolute best job. Every surgery has gone perfectly. My dog is a senior man now and just yesterday had another procedure. Again everything went perfectly. Geoff's knowledge and expertise is second to none. Thank you so much for everything you do for Charlie and for being so kind and understanding with his neurotic mother (that's me!). If there was more stars to give I would! I wanted to take the time to say thank you for the compassion you’ve shown since the passing of our little snugglemonster, Ami. We really appreciate the flowers and card you sent us as well as the sensitivity your staff has shown, especially when I had to call to cancel his upcoming appointments. I honestly couldn’t imagine taking our dogs to any other vet because I know how much you care for each and every animal you treat. I say this without hesitation because every vet staff member I’ve seen since Ami’s death has made a point of expressing their condolences, which has been really touching (even if it does nearly make me cry!). 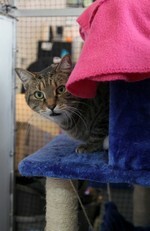 Thank you again for all your help and your continuing always excellent care for our remaining “reject”, Oscar. You guys are the best. We want to thank Geoff and the VetHQ team for their love and support over the last few years attending to her health needs and the girls at doggie day care, (we loved her photographs) to her final moments in this world. We appreciate that Tessa was with Olive throughout the day when she was taken ill and remained with her towards the end, this gives us some comfort that she was not alone. We are truly grateful to have had the time with our beautiful little girl, who we adored everyday... she will be dearly missed (never forgotten) by her family and others she met on her life journey. I have had 2 overgrown hounds cared for by Geoff and the Vet HQ team over the last 10 years. Whilst the business has expanded, so has the expertise from the vets and nurses, without any compromise to the care of the clients (the animals) and their owners. 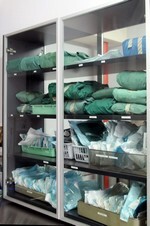 I am always very impressed by the consistency and quality in the care and expert vetting, both routine and emergency. Thank you to Caryn, Geoff, Nicky, Astrid and all the team at Vet HQ for looking after our beloved dogs. We are very grateful to all of you. Jacky departed to the hereafter with his eyes open. According to a tale, this is so they can more easily find their owners again. We’ll keep our eyes open for Jacky and Roxy. I wish there was a "Vet of the Year" award... I'd make sure you won if there was!! We are learning that dealing with an old sick dog (our first dog was 14 when we let her go) is very different to a young terminally ill dog... We just didn't understand. Meet Poppy Newson with her hairdo by Mariko! Everyone always comments on the lovely top knot. Thank you once again for your patience, assistance, care when looking after Jessie. You have a great team and should be very proud of them. Your clinic will come highly recommended and I hope that at some stage we have the courage to get another Westie. Geoff major congratulations on continuing to grow at Vet HQ. You have been the best vet we have ever used and your staff are amazing. (Remember xmas is close?) Your continued learning and striving to be the best to your clients and their animals is just amazing. I'm so glad to see Vet HQ grow. Hard work, amazing energy have definitely paid off. Tammy is a credit to Vet HQ. She acts in a highly professional and thorough manner while at the same time is gentle and caring to the pets in her care. She is also very personable and has a sense of humour which is so important in dealing with people. Tammy has followed up twice by phone to check on Jemma's progress and when she says she will call at 7.30am to check - she means 7.30am on the dot! I was also impressed that Tammy was open in telling me that she would check with you about a proposed change to Jemma's diet as part of her ongoing treatment. Being prepared to acknowledge that you sometimes want to check and obtain advice from a more senior practitioner is a skill in itself. Sometimes younger practitioners think that to seek advice shows a weakness - but from experience I think it is a strength and shows a willingness to learn, improve and provide the best service possible. Thought you be interested to know that our Tiga is now doing so well. Just wanted to thank you and your staff for your professional guidance and care. Thank you so much for your outstanding love and care for our precious Tiger over the last few years. 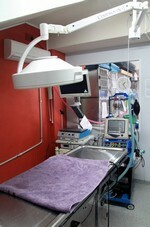 Your vet service and animal Medical facilities must be The Best in Sydney. Catherine did not find a vet, in Paris over the 19 years with her Cat there, as good as you. Also here in SYDNEY we saw many different vets with TIGER over the last 12 years and none came near your high standard of care and service. I must also say that at different times I think we had contact with all your staff – vets, nurses, receptionists, MOTEL boarding staff [We knew our cat was in very good hands when we were away ] and again they too were all marvellous. Sadly because we left Sydney we can’t visit you again. 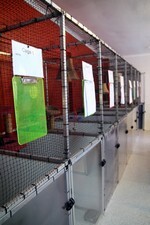 We would have no hesitation in recommending anyone who wants their Pet really well cared for to come to you. the average. Your team rocks! We are so happy to have Nibbles home with us! He has settled down and after greeting everyone and taking a ‘bath’, he is resting quietly. Thanks for all of your help and dedication over the last few days. We appreciate you guys very much!!! 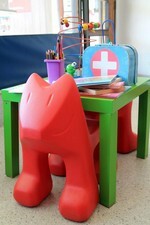 I am writing to thank Raphaella for the note and three photos she recently sent of Dexter. It was so lovely to receive the photos, it was very thoughtful. We really appreciate all the care taken of Dexter and thank you for all VetHQ has done. Thank you again. I would like to thank your team for their care and compassion, particularly given that Hugo’s illness was of a farily routine nature. I have really appreciated the follow up and support and just wanted to convey this to you and to Tammy and Nicky. 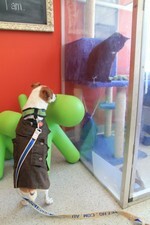 I did a lot of research on vets when we knew we were getting Roxy – I can’t tell you how many I rang in the local area. I had a list of criteria and all those with grumpy receptionists got crossed off the list! Who wants to go to a vet practice where the reception staff are grumpy? Needless to say, your practice passed with flying colours – from the person who answered the telephone (and got so excited that we were getting a puppy) – through to the type of practice that you run = through to all my other questions. Since that happy day four years ago when Roxy joined our family we’ve never had a moment when we regretted our decision. 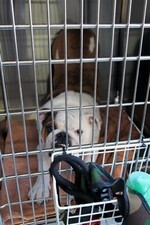 I think we have now seen all of the vets at Vet HQ, most of the nurses and certainly all of the reception staff. At all times we’ve had professional and caring service, great advice and follow up, and have always felt we were in the very best hands. As you know, we have had cause to be even more grateful over the last 10 days when Roxy became so ill. We know that without you and your wonderful team she would have died. You all went to extraordinary lengths to save her life and we cannot begin to express how grateful we are. 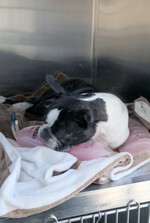 We knew if anyone was going to save her, it would be your incredible surgical skills and the amazing team at Vet HQ. Thank you from the bottom of our hearts Geoff, and thank you too for advising us to take out pet insurance. That’s been worth its weight in gold. A week ago you asked me to drop you a note to let you know how Ginny was doing. I am thrilled to report that she is perfect! Her urgency to wee steadily decreased in the days following surgery and now she is holding on during the day for 4 hours and about 7 hours at night with no signs of leakage. Todd and I are both very appreciative of everything you and your colleagues have done for Ginny. She is one happy pup. I am sure I will see you in the coming months. We’ve found and adopted this little guy last week. He had a bit of a tough break as he had already been adopted and returned by someone else, so we couldn’t just walk away. We’ve named him Bucky and he has settled in really well and seems to be as happy with us as we are with him. 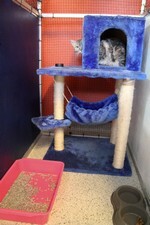 Thanks for all your help and best of luck rehoming any other kittens that come in. 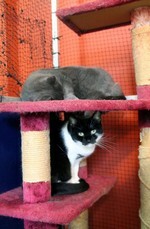 Thank you for your kindness and care towards my cats Azlan and Thandie over the last seven years. A special thanks to Tammy for her compassion and support with Thandie’s passing on Friday Nov 1. All of you should be very proud of the level of care and wonderful service you provide here. I wanted to thank you for the excellent care Portia received after her fall. I felt at all times that only the very best of care was being administered to her and knowing I had done the best for my girl was one less thing to worry about at a difficult time. All the principles of your practice prominently displayed in your main passage would receive a 10/10 on my scorecard! I just wanted to let you all (and particularly Tammy) know that Pompey is having a great time in Italy. Sorry this is quite belated, as we arrived in June, but everything went okay with his long flight etc and now we are all settled in Rome. Pompey even has a new kitten friend…Thank you so much to Tammy and Goeff and everyone for taking such great care of Pompey (and, previously, Lucy…) in Sydney. The girls did an AMAZING job with Yuki! We used to get Yuki groomed at vet hq more regularly however we moved to centennial park a little while ago. I have since been trying to find a groomer closer to home but have had no luck finding anyone that can do as good a job as vet hq. We absolutely loved every minute of puppy school. Libby is a genius and explains everything in a way that makes such good sense. We’ve already recommended it to friends with a new puppy so I hope they call. I want to thank you for all the wonderful services you provide from home visits to clipping nails and food delivery. I’d like to thank Tammy who is a very dedicated vet. She has looked after Julius to the utmost care. She diagnosed him with stones in the bladder and his diabetes. And her follow ups on all of Julius’ problems has been absolutely wonderful. When the elevator was out she had to climb up 13 flights of stairs with 4kg bag of food to check up on Julius. Just like to thank her very very much for her outstanding service and dedication. Thank you Geoff! Sammy is fine. I do so appreciate your professionalism and your dedication to making sure my dog had the very finest medical service. You are truly to be commended for the outstanding job you do. Thank you for your message and for putting up with all my questions about the health of our dog. I am truly grateful. I just want to say a very big THANK YOU for every single thing you have done for my girl, Khaleesi. The love, warmth, care and understanding you have all shown is amazing. It was an unusual place for her to feel 'at home', but you all gave that to her. In as long as we have had Trixie as part of our family, four years now, she has been riddled with health complications and chronic illness, from having you and Carin assist with diagnosing her mega esophagus, along with a weak gut, to removing foreign objects stuck in the back of her eye socket. Recently after coming to you with what looked like some kind of skin condition/disorder, you were thorough and thoughtful enough to treat Trixie and observe her until you were able to give us detailed answers and analysis about what the underlying problem might be. As it turns out, her hair has almost all grown back, so it may have been seasonal, but in giving such great attention to Trix, you were also able to detect the early onset of kidney disease. I am writing to let you know, that since the diagnosis and shift in diet to food more focused on her kidneys, we have seen significantly less throwing up, we are now living with a dog that seems to be digesting her food better than she ever has in her life, she looks and behaves like the healthiest version of her we have known. Thank you so much for this, Trixie is very much part of our family, and having her keep her food and water down for days at a time is a new and wonderful experience for us and perhaps no one can appreciate what a difference that makes than you and your staff. Thanks for being so caring and patient. You've done it again! You've worked your magic on Mads again and voila, she is back to normal. Just wanted to mention what amazing girls Tammy and Nicky are - both have been so great with the 2 little brats.. Thanks so much for all your time today in explaining everything. I really appreciate the effort that you went to and the explanations of the op, as well as the post op care. Seriously wonderful service.